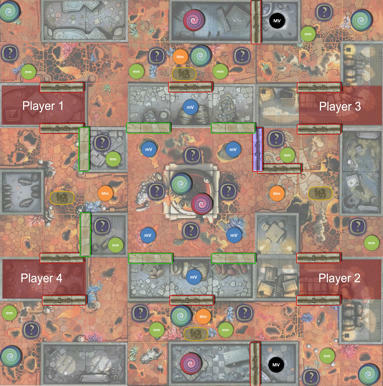 Players: 2-4 I am also working on a version that uses both AQ and AQI to play up to 6 players. It has been playtested but still player feedback is more than welcome... actually that is the main reason why I wanted to post it here. Looks like an interesting mode to try! Thanks for sharing ^^ If I find the time to play it with my group of people will come with our thoughts on it. Updated the file, current version 2.4. Among other changes simplified the body counting (death tokens are used as in default game now), simplified the endgame scoring and added Hero Perma-death ruless (overkilling a hero), 6 player map and rules for players owning both base game sets. I kept working at this project over the summer and I consider it has reached its final form now (or something very close to it). Current version is 2.12! Average game duration has been cut by almost half. There are 3 different paths to victory now, monster hunting, PVP killing and Capturing flags. 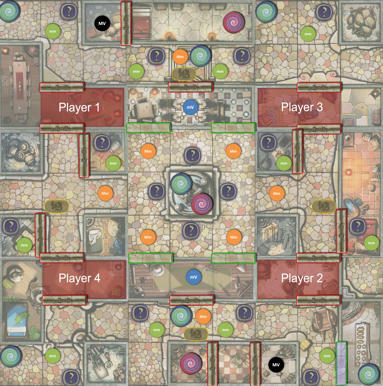 rules have been simplified and arcadia expansions are better integrated. Oh, that's a pitty, because you did invest a lot of effort doing this. I must confess I downloaded it months ago, but I haven't got/found the opportunity to play Arcadia with my group. Should I play in this mode I will come back with feedback for sure. mOebius, Great job I had a lot of fun playing 6 player mode. I have a question, Where do I find Images of Set-UP for map building? Glad you had fun! Did you use the simultaneous turns?